This is the second in Ryan O’Grady’s four-part series looking at each Bundesliga team’s summer transfer window in depth. Part 2 will cover the teams that last season finished from 5th to 8th. Although the Wolves have arguably the best young left back in the World right now with Ricardo Rodriguez the other full back position has been a problem in recent years, Christian Träsch is a decent player but has had injury problems and quite often midfielders have had to play in the right-back role. They have finally solved this issue with the signing of Sebastian Jung from Eintracht Frankfurt for only £2.2 million; he is probably the German National team’s first choice right back now that Philipp Lahm has retired. He is already the first choice right back at the club. Another defensive signing is Joshua Guilavogui on a two-year loan from Atlético Madrid; this move should be good for both player and club as Guilavogui will gain some first team football experience, something he didn’t get at Atlético, whilst coach Dieter Hecking now knows that they have someone to cover for Luis Gustavo who gets too many red cards. In a somewhat surprising move attacking midfielder Aaron Hunt left Werder Bremen at the end of his contract and moved to Wolfsburg, he is unlikely to make the starting eleven with promising youngsters like Kevin De Bruyne and Maximillian Arnold ahead of him but he is a quality Bundesliga player and will perform when required. This summer Wolfsburg realised that they needed a striker, Ivica Olic is now 34 and Bas Dost has not been able to fill the goal scoring shoes left by Mario Mandzukic when he moved to Bayern. In a very surprising turn of events they have ended up signing Nicklas Bendter on a free transfer, the self proclaimed ‘Best Striker in the World’ and he has turned up at the club reportedly in need of some weight loss. There were no significant departures from the VW Arena this summer; Tolga Cigerci was probably the most notable departure after he left for Hertha Berlin. 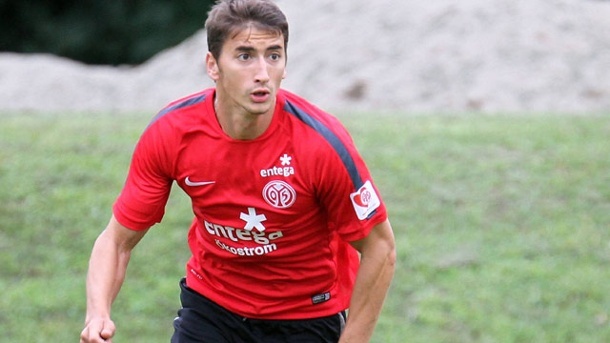 Also worth noting was veteran defender Jan Polak who moved to FC Nürnberg on a free transfer. 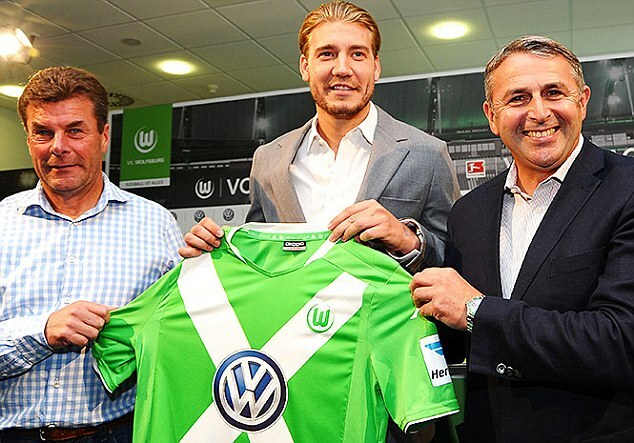 A mixed window for Wolfsburg, they did well to keep a hold of their young talents such as Rodriguez who was linked with Manchester United at one point, but signing Bendter towards the end of the window when you were linked with players like Lukaku smells of desperation. They have also added to some quality to their ranks with the signings of Jung and Hunt and they will hope that they can help them push for Champions League qualification this year. The transfer bargain of the summer goes to Gladbach for signing Fabian Johnson on a free transfer after he left 1899 Hoffenheim, he was one of the players of the World Cup and there was even talk that FC Barcelona looked at him after the tournament but he already had a pre-contract agreement with the Foals. Johnson gives great versatility as he can play in either full back position and even played a few games on the left wing for Hoffenheim. From his full back position he will also be a threat going forward and will get the best out of the strikers. If Johnson isn’t the bargain of the window then it surely has to be André Hahn who was brought in from Augsburg for only £1.98 million. He was probably the surprise player of last year scoring 12 goals and 8 assists as he helped Augsburg to their best ever finish in the Bundesliga. Due to the departure of goalkeeper Marc-André ter Stegen, Basel keeper Yann Sommer has been brought in for £7 million and he will provide some European experience for Gladbach this year as they participate in the Europa League. Another interesting signing is Ibrahima Traoré brought in from Stuttgart on a free transfer who wasn’t outstanding last year but was one of the better players in a Stuttgart team that only just escaped relegation and he will certainly add some strength in depth. Gladbach pulled off something of a coup this summer signing Thorgan Hazard on loan from Chelsea. He is a very promising attacking midfielder and one the Belgian League’s player of the year in a previous loan spell with Zulte Waregem.Other arrivals include a couple of players from the youth teams at Gladbach. By far and away the departure that will affect Gladbach the most is Marc-André ter Stegen to FC Barcelona for £10.5 million. One of Germany’s most talented keepers, which is saying something as Germany has a lot of good goalkeepers, he is probably the successor to Manuel Neuer. He was a product of the youth academy and a leader on the pitch who in his final game for Gladbach was given a tearful send off. Another fan favourite in Juan Arango left Borussia Park this summer after 5 years with the club; he was a player who could only seem to score amazing goals from all sorts of angles. One player that Gladbach were glad to get off their books was Luuk de Jong who moved to PSV for £4.8 million. While there is no denieng that he has talent he doesn’t fit manager Lucian Favre’s system and had problems with injuries following his £10.5 million move from Twente. His spell culminated in a terrible 6-month loan spell with Newcastle United where he barely played. Promising youngster Amin Younes has also left the club but only on loan to FC Kaiserslautern. Another player out on loan is Peniel Mlapa who joined FC Nürnberg in the second division. Other departures include Elias Kachunga who has had a brilliant start at new club SC Paderborn and Lukas Rupp who also moved to Paderborn. Gladach had arguably the best transfer window in the Bundesliga even though they lost two important players in ter Stegen and Arango. They replaced them well and in Hazard they have a very exciting young player and they will try to get the most out of him whilst he is there. Gladbach should be another side challenging for the Champions League. Mainz have had something of a nightmare this summer, first manager Thomas Tuchel quit the job after the end of the season, but he isn’t technically available to talk to other teams as Mainz refused to release him from his contract which expires at the end of this season. Then they brought in Kasper Hjulmand as a replacement but under his management Mainz have been knocked out of the Europa League and were even knocked out of the cup on penalties by a Chemnitzer FC, a 3rd tier side, in the first round. Despite all these issues they have still managed to make some decent signings this summer such as Gonzalo Jara and Filip Đuričić from Nottingham Forest and Benfica respectively. Jara arrived on a free transfer after participating in the World Cup with a Chile side that impressed with their attacking football and were unlucky to be knocked out by Brazil Mainz did well to tie him down so early after his country’s campaign ended. Đuričić on the other hand didn’t play at the World Cup but he is certainly one for the future. He burst onto the scene at Heerenveen and made 100 appearances for the Dutch club before moving onto Benfica for £6million but he didn’t get much game time at the Stadium of Light and as a result has moved to Mainz on loan. In the last couple of days of the window Mainz made some very good loan signings first was Sami Allagui from Hertha Berlin, which was a surprising move from Hertha’s point of view as he was one of their better players last year. Then came Philipp Wollscheid from Bayer Leverkusen where he wasn’t needed anymore after the arrival of Tin Jedvaj and Kyriakos Papadopoulos. Then the best loan singing of the summer as Jonas Hofmann arrived from Borussia Dortmund. As mentioned in part 1 of this review he was loaned out to get first team action that he isn’t likely to get at Dortmund especially with the recent return of Shinji Kagawa. 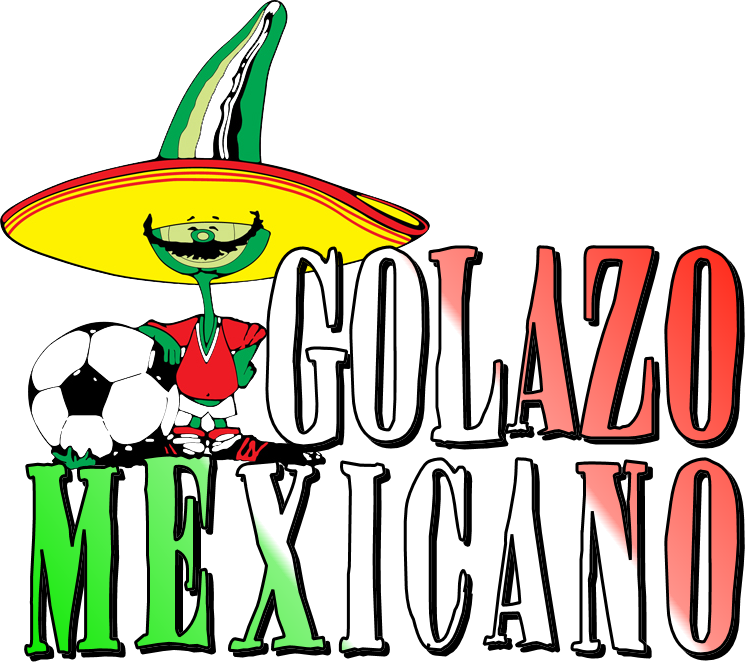 Other signings include attacking midfielder Pablo de Blasis from Asteras Tripolis, who are the team that knocked Mainz out of Europa League qualifying, and Jairo, a right back from Sevilla. Mainz have lost some decent players in this window, the most important of which is Nicolai Müller who moved to Hamburg for £4 million. The 26-year old along with Shinji Okazaki were Mainz’s two best players last year, Müller scored 9 goals and 4 assists last year and he will be hard to replace. Another important player in Eric Maxim Choupo-Moting has left the left club as mentioned in part 1 of the review to move to Schalke. He was a very good impact player for Mainz nearly always changing the game when he came on. In a very surprising move Niki Zimling has been loaned out to AFC Ajax and it appears that Mainz don’t really have anyone to cover for him. Yet another important player in Zdenek Pospech has also left the club, this time to go to SFC Opava, he was outstanding for Mainz last year and was an outside candidate for right back of the year in the Bundesliga. Other departures include veteran keeper Christian Wetklo moving to SV Darmstadt 98 and Sebastian Polter moving on loan to Union Berlin as well as youngster Shawn Parker moving to Augsburg. Before the last few days of the window people were saying that Mainz could be in trouble this year, Thomas Tuchel helped them punch above their weight and with Müller and Choupo-Moting gone as well they could be outsiders for relegation but with the excellent loan signings made their future seems a bit brighter especially with the club able to keep a hold of excellent midfielder Johannes Geis. To start off the arrivals we have youngster Shawn Parker who as mentioned earlier has come in from Mainz, a player who has player for the Germany youth teams but was never really given a sustained spell in the Mainz first team and as a result has moved to Marcus Weinzierl’s side. Another young player who has moved to the SGL Arena is left back Abdul Rahman Baba who signed for £2.2 million; he actually started the season at Greuther Fürth and in his last game for Fürth scored twice against their main rivals FC Nürnberg. It will also be interesting to see how big frontman Tim Matavz does after he signed from PSV for £3.5 million. Augsburg have also signed Marcus Feulner from relegated Nürnberg but it remains to be seen whether he can have much effect especially at the age of 32. Other signings include Caiuby from FC Ingolstadt and Nikola Djurdjic from Greuther Fürth. Augsburg lost their two top players from last year in this window, Matthias Ostrzolek to Hamburg and André Hahn to Borussia Mönchengladbach. Both will be hugely missed as they both contributed offensively and defensively for their team last year. Another significant departure is Kevin Vogt to newly promoted FC Köln. Vogt alongside Daniel Baier were magnificent in centre-midfield last year and he will leave a hole in midfield that Weinzierl will be hoping is filled by Feulner. Other departures include Ji-Dong Won to Dortmund (as mentioned in part 1), keeper Mohammed Amsif who went to Union Berlin in the 2nd division and striker Arkadiusz Milik who returned to Bayer Leverkusen after his loan spell ended. How do you improve on the best season ever? Well in Augsburg’s case it seems they won’t as they have lost very good players and they haven’t brought in top quality replacements. Like Mainz their hopes are boosted by the fact they kept hold of their star midfielder, Daniel Baier in this case. Relegation could be a serious possibility for Augsburg this season if the new signings don’t settle.